One of the things I’ve always tried to do working with Upper Deck is to listen to our customers. During the eight years I managed Upper Deck’s Customer Service Department, I found this was not always a pleasant experience, but it was important and beneficial. The hardest part is understanding that every collector is different so while one collector may hate a product, there is often another collector who loves it. By listening to enough collectors, you can find similar areas of concern and work on ways to address them. Our Customer Service and Quality Assurance teams do a good job of sharing what they hear, but by reading different blogs, checking online collecting communities, visiting shops, attending shows and monitoring our Twitter and Facebook accounts, you can get a really good feel for what is going on out there. The takeaway here is sometimes the news is not all bad. Collecting is supposed to be fun and more often than not it is. 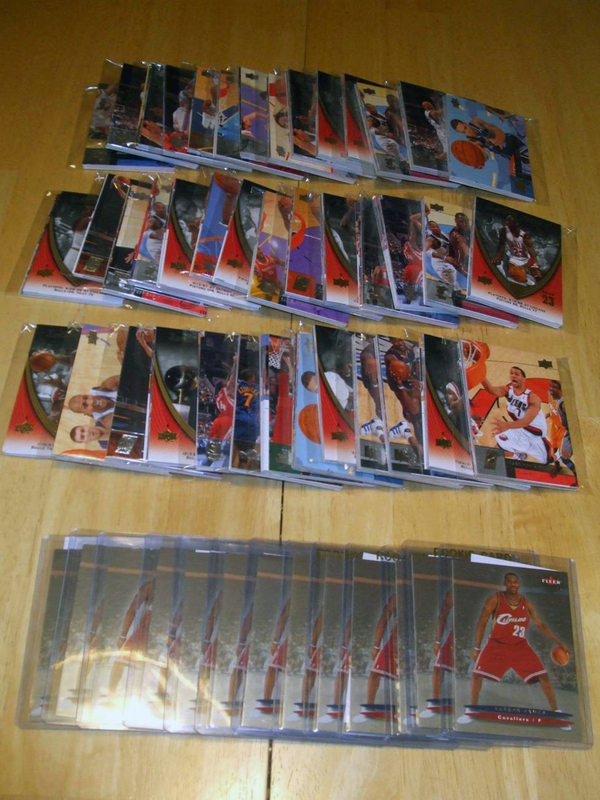 Over the summer I noticed a trend where we had more and more collectors on our Facebook page asking what they could do to help Upper Deck after some of the recent licensing changes in particular. Whether it was posted on our wall or through messages directed at me, it was nice to see there were positive collectors out there who wanted to try to work on making things better in the hobby. And I love the idea of making things better in this hobby. As more and more of these positive advocates emerged, it just seemed to me that we would be foolish not to organize this group and work on making the hobby a better place. So many times we are reactionary in this business where we wait for something bad to happen and then try to react to it with something good. Why not get on the offensive and just do something positive with a motivated group of fans? Why not work to try to not only make the hobby better, but potentially grow it for a new generation of fans? 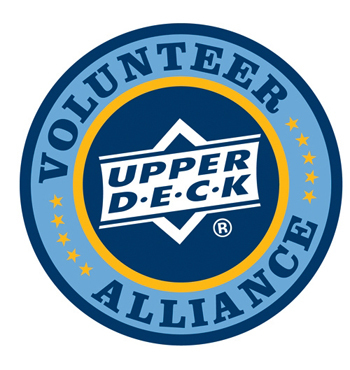 When I pitched the concept of the Upper Deck Volunteer Alliance, I was happy to see that everyone was on board. When we announced the program we shared that we’d be giving out a monthly mission to members to make the hobby better. Based on how well they helped, we would hook members up with UD merchandise, gear and even the opportunity to attend special events. The first mission was to help promote their local hobby shop. Members were very creative by coming up with YouTube videos, working with their local shop to create a Facebook pages and even volunteering to help out during in-store events. After we sent out the first group of reward packages, we had a lot more collectors join up. Volunteer Alliance members partnered with hobby shops to help them create and promote a facebook fan page for their business. The next mission was to share the hobby with others and boy did they do that. We had members putting together packages of cards to donate to schools, local youth teams, Boys & Girls Clubs and more. It was really awesome to see how much it meant to those they donated to, but even better to see how good they felt after donating, knowing that maybe they had helped create a new generation of collectors. I guess the old saying, “It’s better to give than receive” really does ring true. 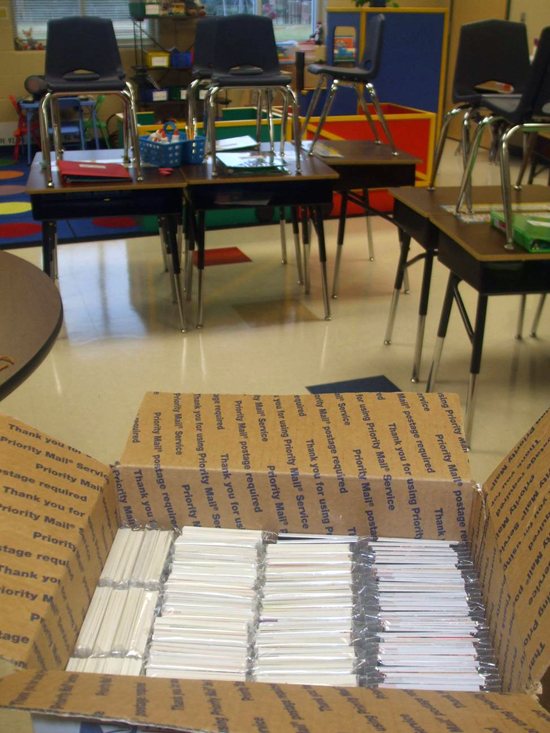 Volunteer Alliance members put together packages of cards to share with others. Members donated cards to schools, Boys & Girls Clubs, Children's Hospitals, youth teams and more. We even had a very passionate collector add the Upper Deck and UD Volunteer Alliance logos to his car while he made the rounds donating cards at a variety of events. So keep your eye out for the Upper Deck mobile bringing packs and smiles to future collectors near you. And the Alliance grew and grew as word continued to get out about what we were doing. A Volunteer Alliance Member get the UD and VA logos applied to his car. 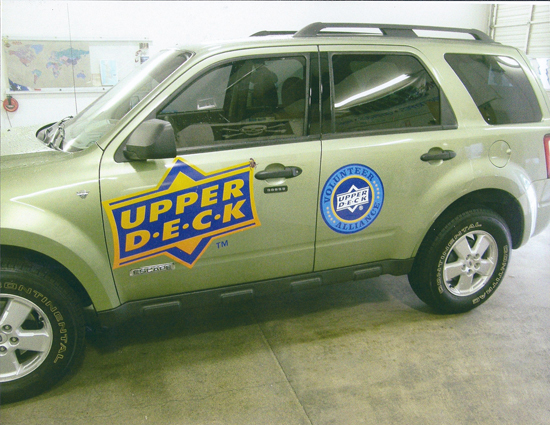 Now the Upper Deck mobile tours around the town giving away packs to young and old alike. We want YOU, to help make the hobby better! great stuff. The volunteer alliance is such a great thing. to make the hobby a better place, create an online database for all serial #’d cards, autos, patches, jerseys etc…, complete with pictures so that all the fake patches, autos and jerseys and such stop!! Put Burge and UFjumper and the likes out of business! We should be able to look up a card and see if it has been altered! The Volunteer Alliance is a GREAT IDEA. Volunteers like TRAVIS MAKUK have made a big difference in making this a better hobby and introducing new blood to this great hobby. I know it works (top three pictures come from Travis Makuk). 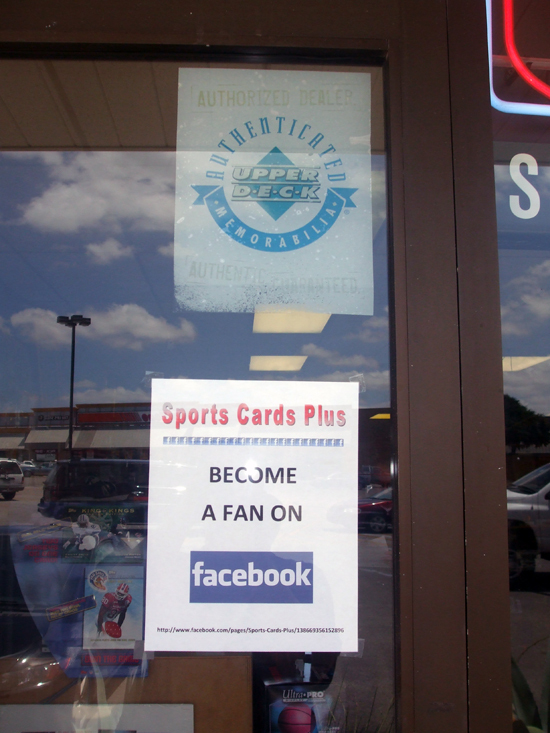 It has brought in new customers into my store, Sports Cards Plus (San Antonio, Texas). Travis and I have partnered on this effort. I have provided cards for his promotions and Travis does the leg work. The results have been significant. Keep up the great work Travis and other volunteers. I AM A MAILMAN. I PASS OUT SPORT CARDS TO THE CHILDREN ON MY ROUTE!